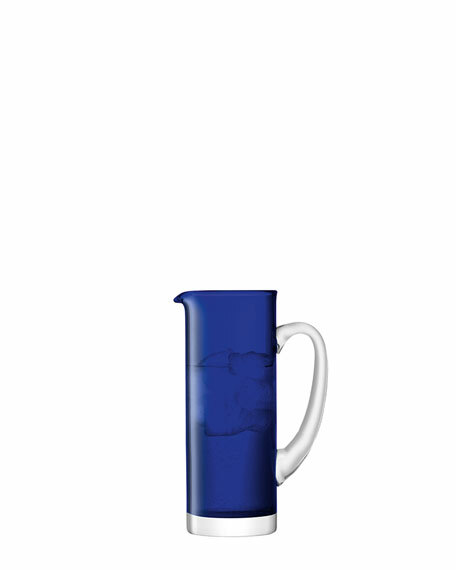 Contemporary jug with tall straight sides for water or juice. Complex traditional techniques transform high quality raw materials into distinctive products for entertaining, dining and decorating. 6"W x 4"D x 10.8"T.